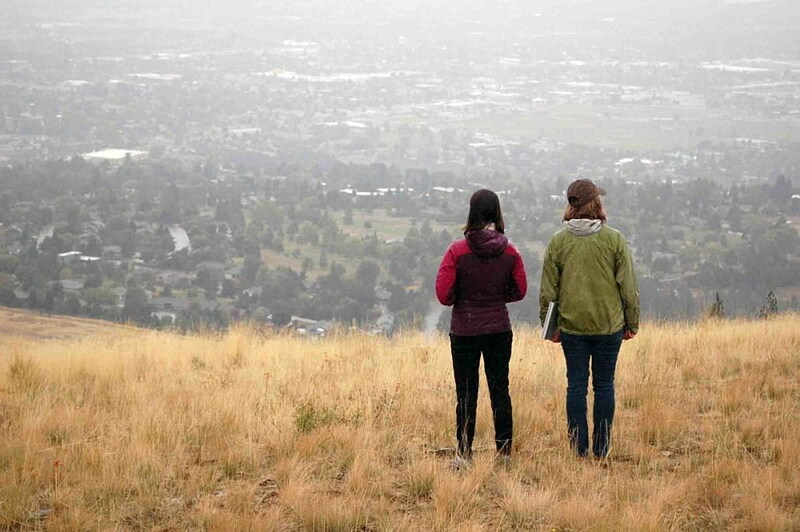 When Amber Sherrill and her husband moved to Missoula two decades ago to start their lives and raise a family, they were struck by the city’s beauty and its access to open space, trails and scenic vistas. Mount Jumbo had recently been protected as city open space, and a new wave of growth was building on the horizon. If not for the forethought of community leaders, she said, Missoula would be a very different place. 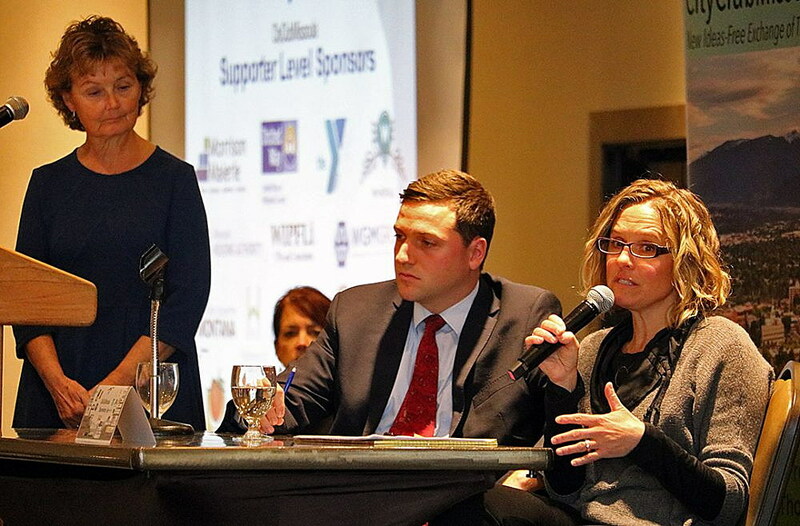 Sherrill, executive director of Five Valleys Land Trust, argued in support of a new $15 million open space bond and perpetual stewardship levy on Monday during a debate hosted by City Club Missoula. Sitting opposite her was City Council member Jesse Ramos, who has emerged as an ardent opponent of the bond and levy. While he’s not opposed to open space, he said, Missoula has enough already. Additional city taxes and a concern over affordable housing are top community concerns, he added, and he contends the bond would make both issues worse. 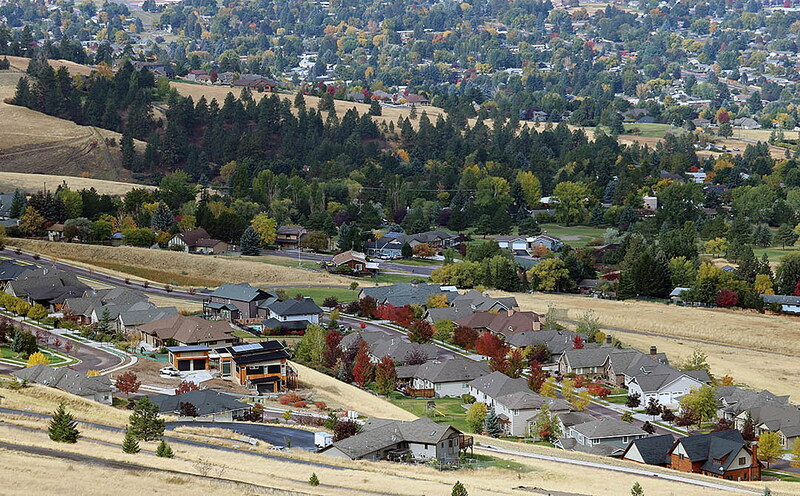 If passed, the open space bond would cost the owner of a $265,000 home roughly $18 a year. The city’s perpetual stewardship levy, also approved for the ballot, would generate an additional $500,000 annually and cost the owner of the same home $14 a year. Only city residents would pay the levy, while all county residents would pay for the bond. With a nod from the City Council, Missoula County commissioners agreed in June to place the bond on the November ballot. Voters have approved two open space bonds before, including the first in 1995, which was used to protect Mount Jumbo, and a second $10 million bond in 2006. Sherrill said that second bond leveraged nearly $30 million in additional state and federal funding. In doing so, it protected 15,000 acres of wildlife habitat, 9,000 acres of agricultural land, 40 miles of waterways and 19 miles of new trails. Those projects included the preservation of Travelers’ Rest in Lolo and the confluence of Rock Creek and the Clark Fork River, among others. It also began conservation efforts on Mount Dean Stone, and it removed several Missoula Valley farms and ranches from development pressure. Sherrill, who touched on the economic benefits of open space, cited ClassPass as a recent example. The tech firm, based in New York and San Francisco, cited Missoula’s open space and quality of life as key to its decision to choose Missoula as the site of its third North American office, which opened early this year. The company looks to grow to 175 local employees who earn above the median local wage. But Ramos said ClassPass and others like it made their decision to move to Missoula based on existing conditions, not future promises. While Ramos struggled to articulate how open space would handcuff the city’s efforts to develop affordable housing, he did suggest that removing land suited for development would further pinch the city’s stock of housing and continue to drive up prices. The valley’s agricultural lands are especially suited for development, he said. Those same parcels would be protected under the new open space bond and, therefore, be removed from potential development. “While a lot of these properties that are purchased may not pay a lot of taxes – they’re ag land and undeveloped – they have the potential to be developed, and the potential to add to the tax base, and potentially offset some of the services if they’re properly developed,” Ramos said. Sherrill disputed Ramos’ argument, saying affordable housing and open space are not mutually exclusive. Rather, she said, having the option of using open space to develop the urban area is a vital planning tool that can make neighborhoods stronger. According to data provided by Missoula County, roughly nine bonds are currently active, including three issued at various points from the 2006 open space bond. Of those, one issue ended in July while the two others sunset in 2028 and 2036. Other active bonds include the library, Fort Missoula Regional Park, and three bonds associated with the Missoula County Detention Center. According to the county, those bonds were refinanced in July.